Jungle Ghost Note: You all know that available maps for GPS's are limited Worldwide and they are costly. So we needed to present you a method to make Worldwide Raster Maps for your Triton GPS that would challenge the National Geographic Maps. On our Emergency Repair Card for the Magellan 1500 and 2000 we give you the Trial OziCeExplorer so that you can experience how easy it is for a program called OziExplorer to read Charts and create .map files. These files are then used on the Windows CE driven Magellan Triton GPS's. If you use a free program named "TritonRMP Maker" you can create INEXPENSIVE raster maps for your Triton. 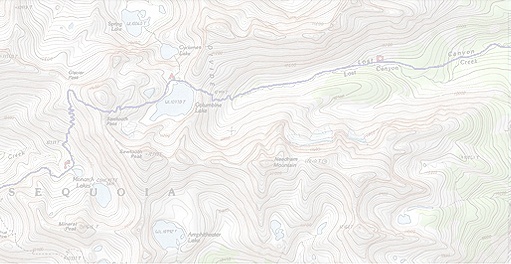 You can convert USGS maps, State TOPO maps and Worldwide Library Maps into maps that would rival National Geographic CHEAPLY. OziExplorer GPS Mapping Software runs on your PC or laptop and will allow you to upload/download of waypoints, routes and tracks for real time tracking of GPS position (Moving Map). So you can use our Emergency Repair Card to run OziCeExplorer on your Magellan 1500 and 2000's to create a .map file and this is magnificent backup in case the Magellan Base Software becomes corrupted. You can take maps in various formats which can be either purchased or found free in digital forms such as BSB, USGS DRG, ECW, SID, TIF, PNG, JPG, GIF, etc. and CONVERT THEM TO TRITON RASTER MAPS. In essence the .map files that work with the OziCeExplorer on your ER card also can be converted to Triton RMP maps that work on your Triton GPS. Obviously you can use the OziExplorer (this is a different program) and also you the .map files to make Triton Maps for the 400 and 500. Let me give you and example. The NOAA offers Free Marine Coastal Charts. To make them into Triton Raster maps go to NOAA's free chart viewing/converting and download the conversion program from http://www.csc.noaa.gov/crs/chartreproj.html Use the conversion program to convert the BSB file formats from the RNC charts to WGS84 as a TIF format, then use TritonRMP to convert those files into raster files. Mission is complete and now you have Triton Coastal Raster Maps.